Leave the unsightly wires behind. 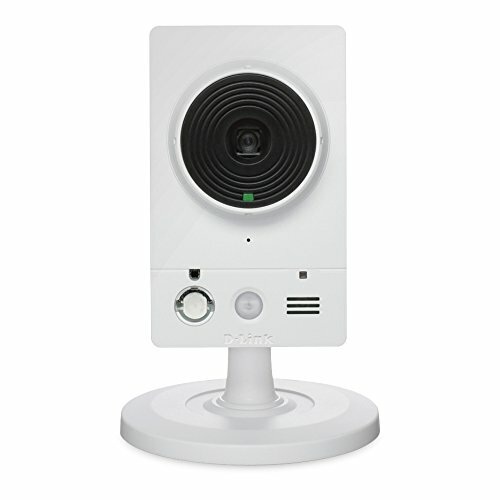 The Foscam E1 Camera is 100% Wire-Free and is easy to setup – no invasive drilling or wiring required. Thanks to its magnetic base, you can install your camera anywhere. 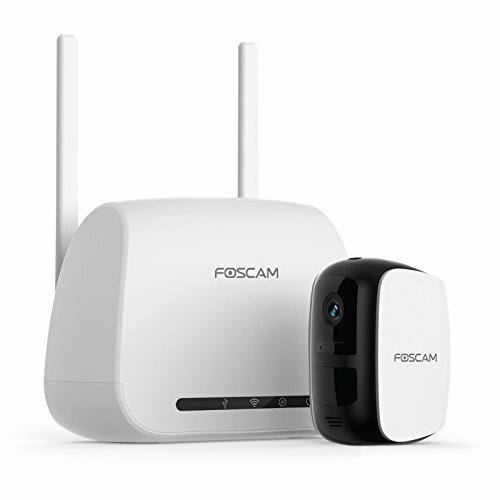 – Free Foscam Cloud Plan includes up to 4 cameras per account. – Up to 1 GB of Cloud storage space. – Access triggered video recordings from your Foscam Cloud for up to 7 days of history. – This 1GB/7days Free Foscam Cloud Plan never expires for the Foscam E1. Note: E1 base station comes with USB port that support USB flash driver or HDD so you can also save recording locally. The 5000mAh battery allows you to keep an eye on what matters most anytime, even if you’re away from the camera for an extended period. You can check the Foscam E1’s battery status conveniently right from the Foscam App. When the battery needs to be charged, notifications will be sent right to your smartphone. *Note: Actual battery life varies depending on camera settings, usage, and operating temperature. 1080P Full HD video enables you to view your home more clearly. You can view Live or Playback and talk with your family anywhere using the free Foscam App from your smartphone. 100% Wire-Free Battery Powered Camera with no drilling or wiring hassles. Long lasting rechargeable battery with 5,000mAh capacity. Able to check the camera battery status right from the Foscam App and get notifications when battery need recharge. 802.11n 2.4Ghz WiFi connection between camera and base station. 7 Days of Free Foscam Cloud storage plan with up to 1 GB data space included in this kit. 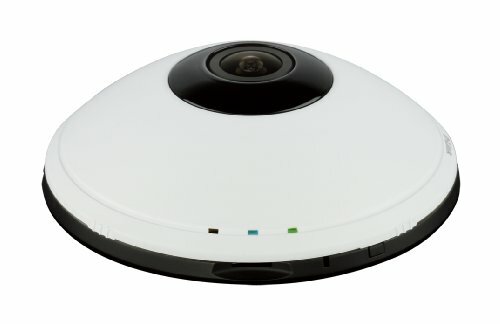 Live stream and access trigged video clips from your Foscam Cloud. Each cloud subscriber account in this free plan will supports up to 4 wire-free cameras. Developed on US-based Amazon Web Service server, Foscam Cloud is of high-level encrypted security and privacy protection versus others. Full HD 1080p Live View & Playback. Night vision up to 25 feet in low light or even in the dark. 110° diagonal angle of view with more sharper details. Built-in mic and speaker enables two-way audio capability. Free, Easy and Smooth Setup. IP65 certificated level weatherproof. Operating temperature 32 degree to 131 degree Fahrenheit. Up to 4 battery-powered cameras can work with one base station. This camera comes with paired with E1 Base Station. Adding additional cameras to this E1 Base Station is just a tap away with convenient sync button pairing option. Advanced Human Detection algorithm and wide-angle Passive Infrared (PIR) sensor detect human movement. 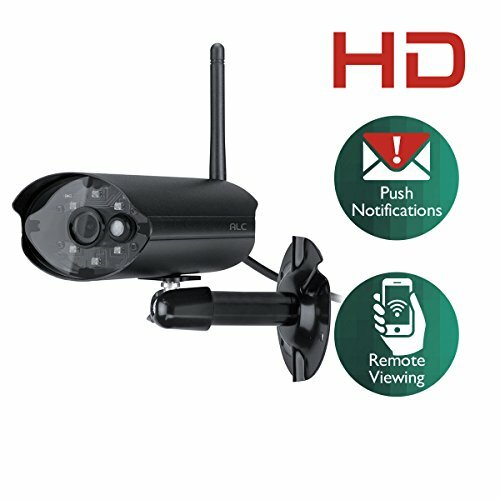 Foscam E1 will record the movements then and send snapshot push notifications right to your smartphone. The captured video triggered by movement will be uploaded onto the Foscam Cloud remotely or your USB storage device locally via connecting to the base. Full US warranty & support service available by email support@foscam.com and call 844-344-1113.